His inimitable style combined with memory feats that stun and amaze, Jay uses Psychology, Showmanship, Hypnosis, Suggestion, and Cold Reading to captivate and engage his audience. 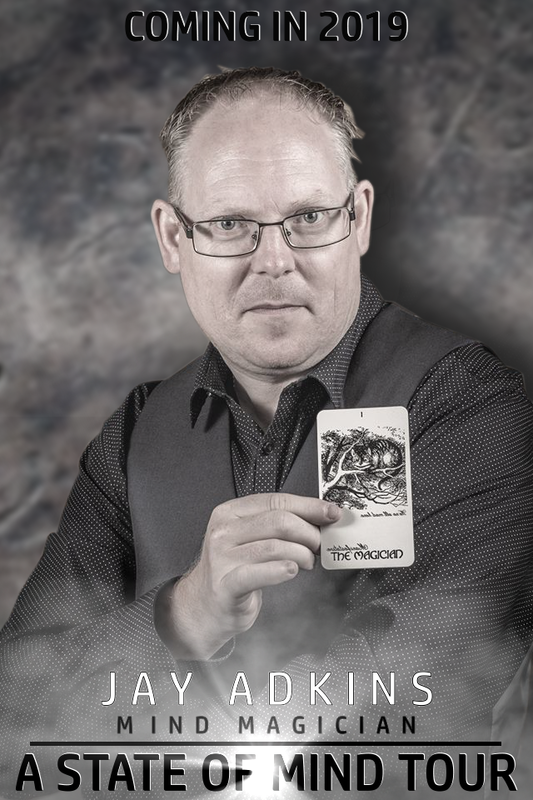 Jay Adkins combines cutting edge mentalism combined with mind magic. Audience members will be involved in the show from the very start and blown away by the mind reading demonstrations. They will leave the show asking “How is this possible”. Clever. Intriguing. Humorous & Brilliant!